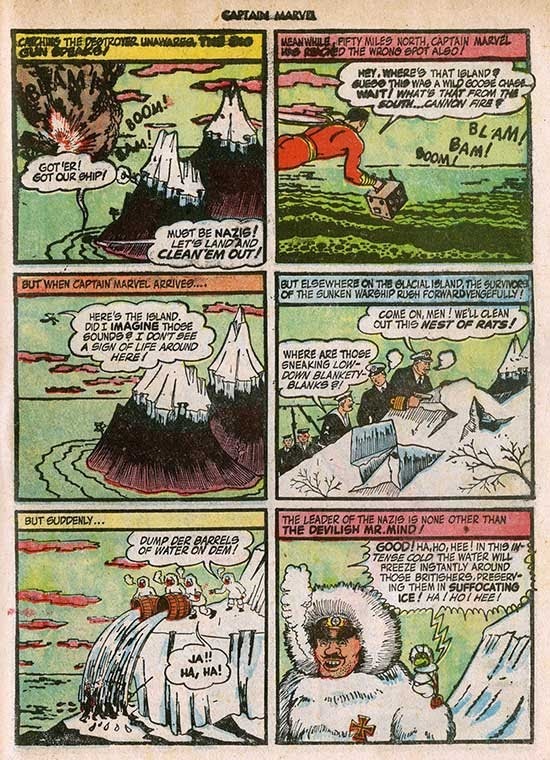 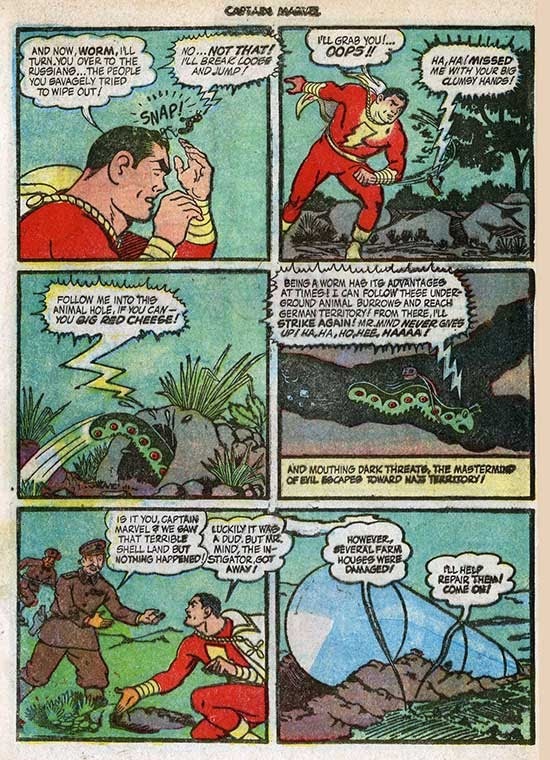 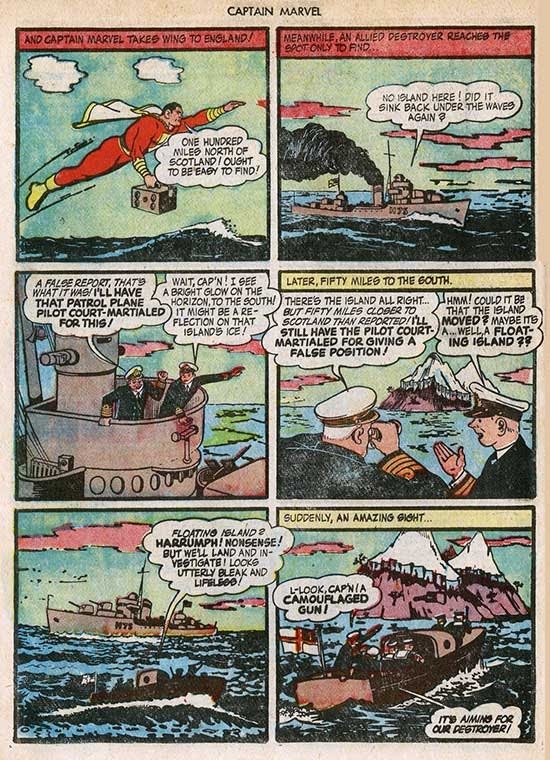 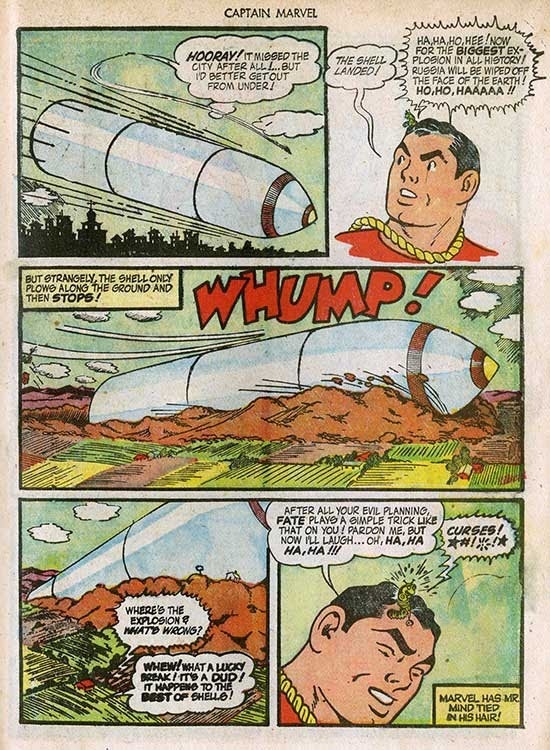 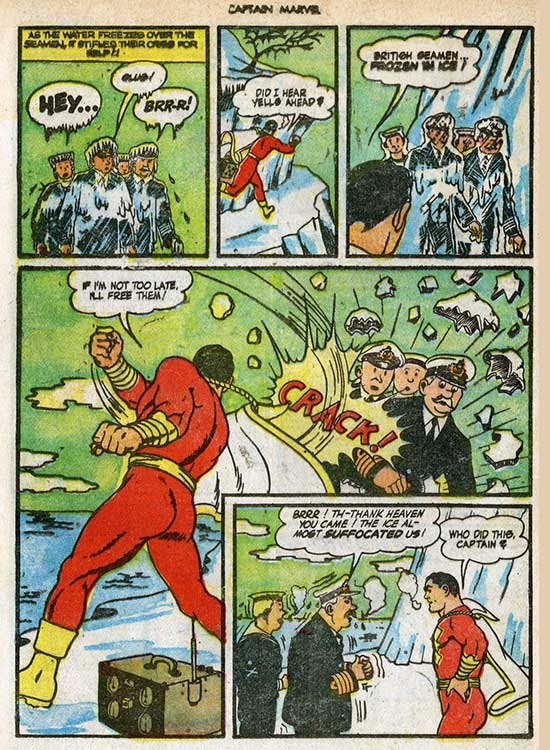 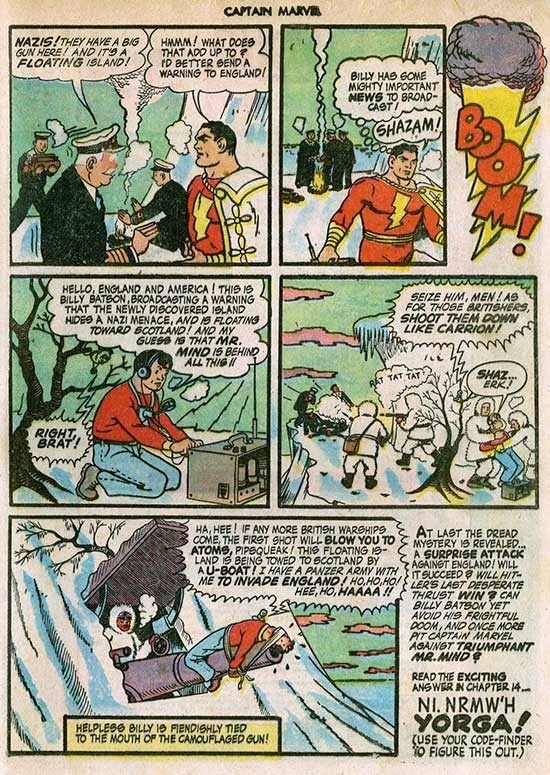 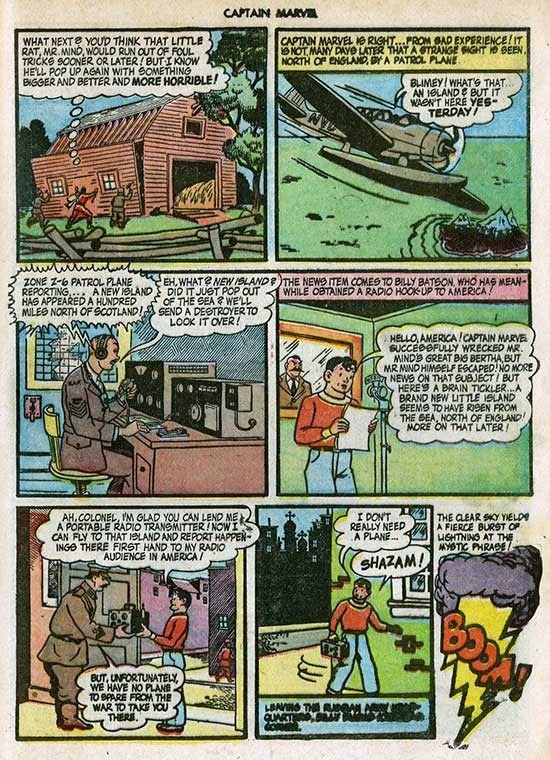 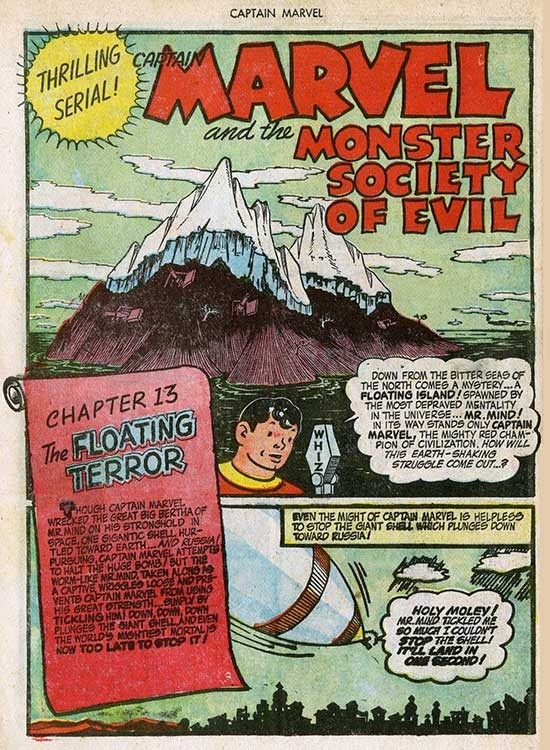 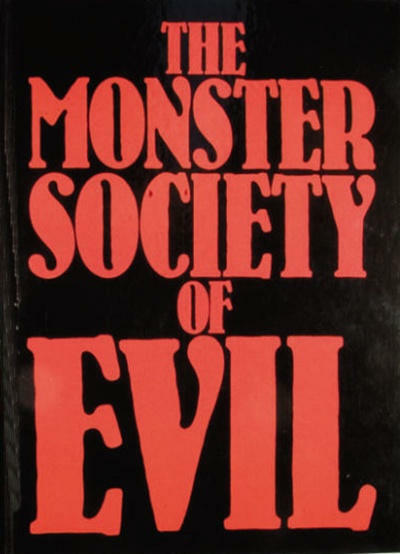 Hero Histories: MONSTER SOCIETY OF EVIL "Chapter XIII: the Floating Terror"
MONSTER SOCIETY OF EVIL "Chapter XIII: the Floating Terror"
The Captain Marvel Code-Finder was a mail-in premium that would enable you to understand the cryptic messages (like this one) in stories! Without it, you'd be as helpless as an Axis spy to figure out what the message was! 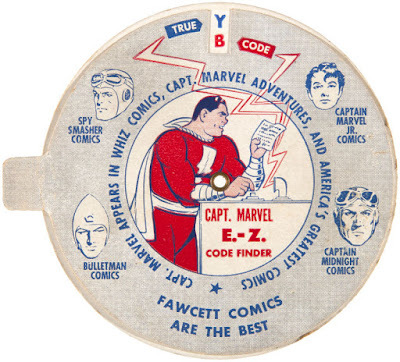 Regrettably, I don't have one so I can't tell you what the message says!